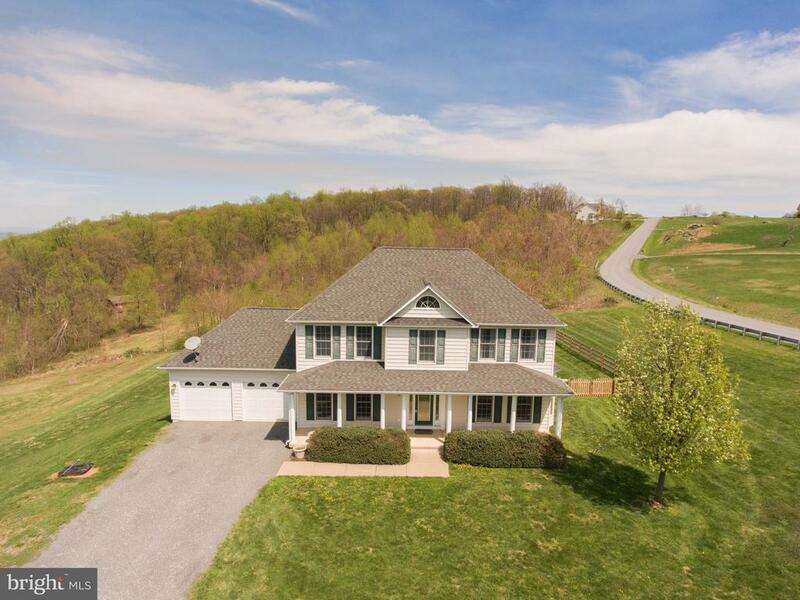 All Linden homes currently listed for sale in Linden as of 04/25/2019 are shown below. You can change the search criteria at any time by pressing the 'Change Search' button below. 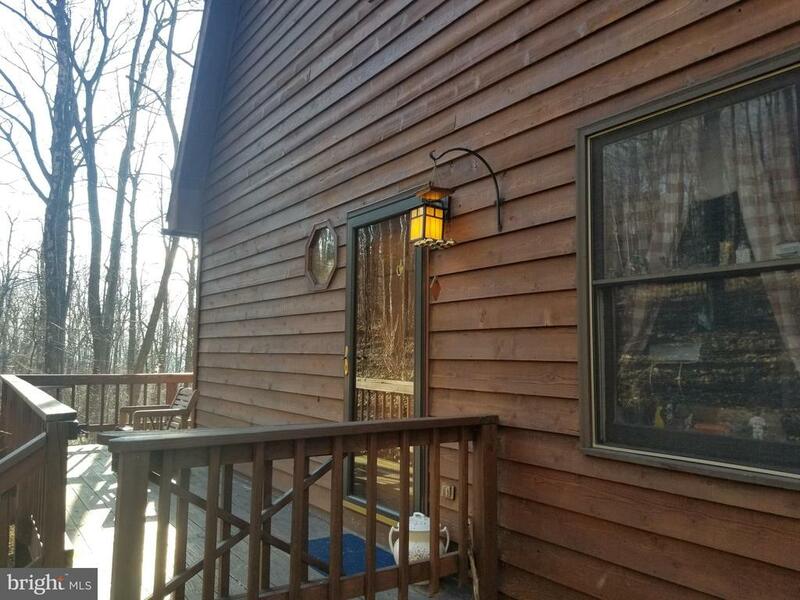 "WELCOME TO KOOKABURRA ~Escape the hustle and bustle of the city at your private custom built cabin retreat nestled in the Appalachian Mountains. Looking out the French doors of your living room, you will be captivated by the breathtaking views of the Virginia Mountain tops. Perfect as a weekend retreat or your permanent residence, you will enjoy the airy open floor plan and amenities thoroughly suited to accommodate both family and friends. Enjoy the heated pool or cozy up in front of your wood-burning fireplace in the late afternoon. Only minutes away, take advantage of local wineries or travel down the road to the seasonal activities and equestrian events the Virginia Hunt Country offers." 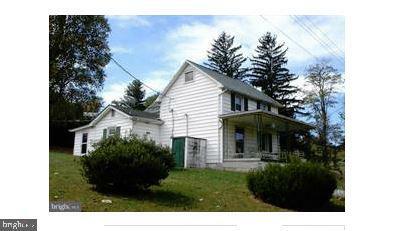 "This is a charming historic property on 18+ acs. near Linden, VA in Fauquier Co. The 3 BR residence dates to the 1850's. It has an updated kitchen & bathes, period fireplaces, mantels, moldings & hardwood floors. The 2 car garage has a kennel & wine cellar. The inground swimming pool has a gazebo and there is a stable & paddocks for horses. It has excellent access to Rt. 66." "Turn Key Bed and Breakfast. All furnishings convey. Lovely Home with Breath taking views. Hot tub for those relaxing evenings. Close to wineries, hiking trials, skyline drive. and the Shenandoah River. Floor to ceiling stone fireplace. Hard top roads to the front door. Wrap around deck to sit and take in the views and wild life. 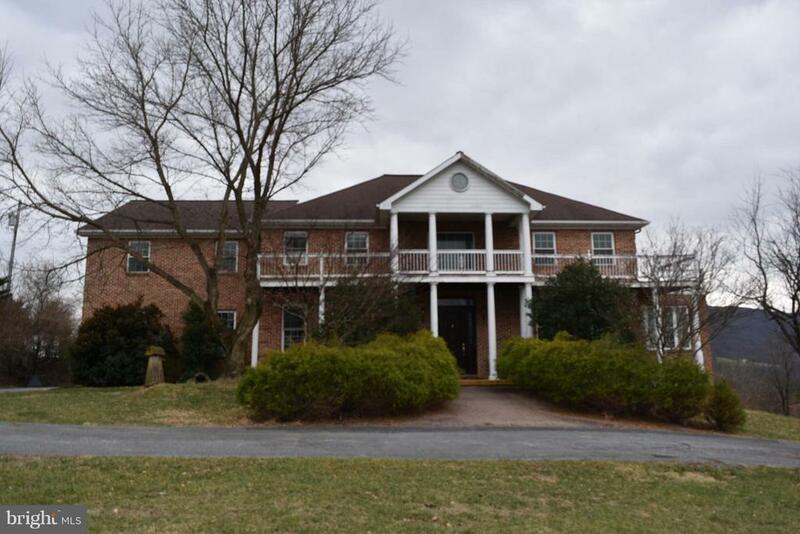 Private setting on 7.5 acres." "121 acres zone agriculture . 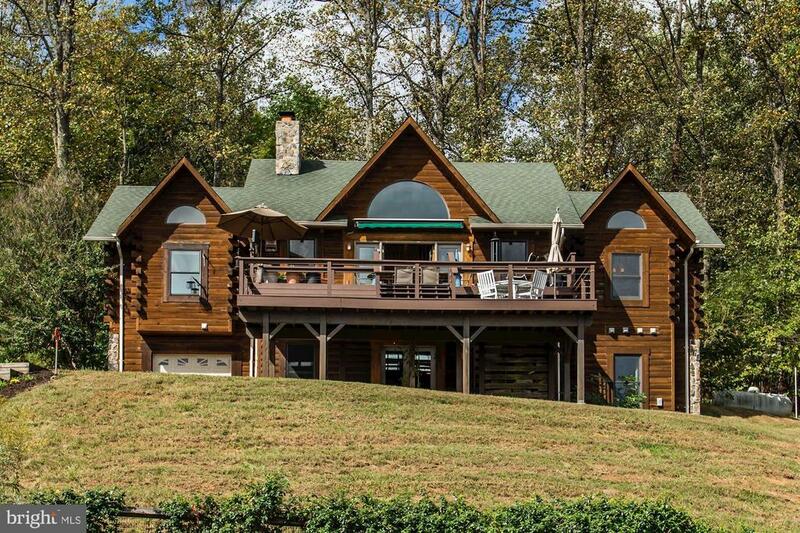 Great property close to winery, I-66, and GW National Forest! Has many by right uses! Owner is willing to finance. 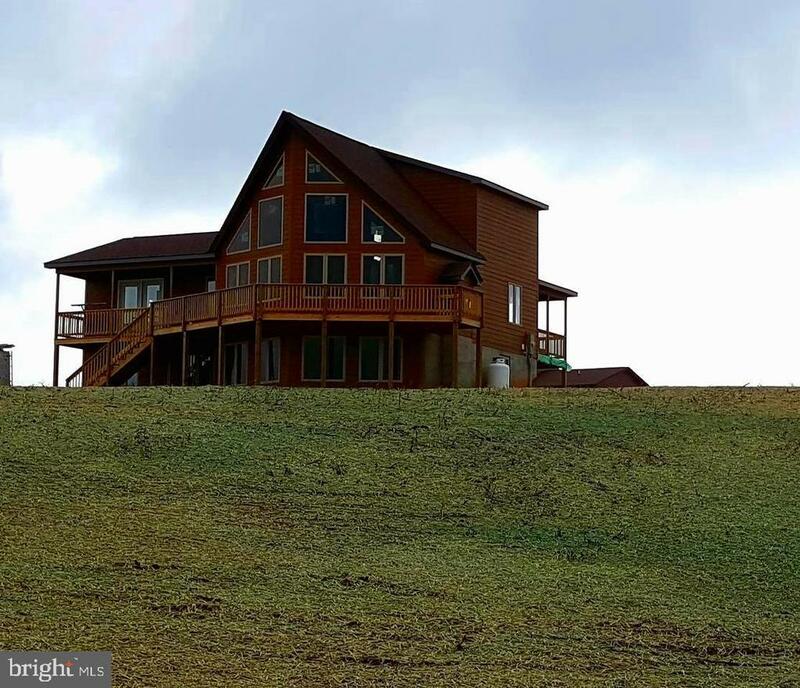 Views that are breathtaking, yet wooded for privacy or hunting. House is in as-is condition and enter at own risk. Potential vineyard use. Has several out buildings and packing shed." 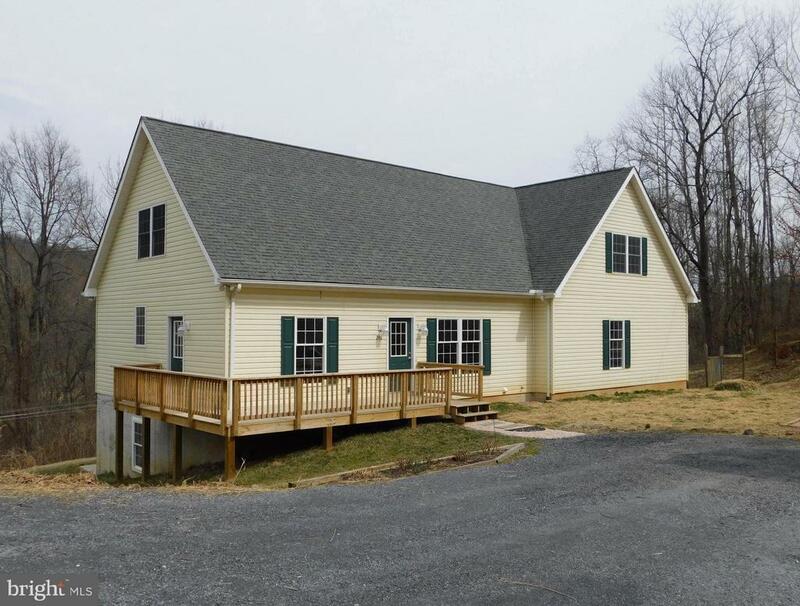 "*Priced to Sell*Located 15-20 minutes from I-66 in Picturesque Hume-Linden/Northern Fauquier County*Almost 6000 square feet of finished living space*5 BR 4.5 BA on 3 Fully Finished Levels*Open Concept w/ Eat In Kitchen & Huge Great Room w/ Fireplace*Main level dining & living rooms plus a bonus main level office/library*Master BR Suite w/ Luxury Master BA*Walk-Out Lower Level w/ Game/Rec Room, In Home Gym & Full BA*All 4 sides brick w/ attached 2 car garage, rear deck & lots of room to entertain inside & out*Walk to nearby Linden & Rappahannock wineries*"
"Quality custom built home featuring open floor plan with a large master suite! Hardwood, tile, granite & much more! 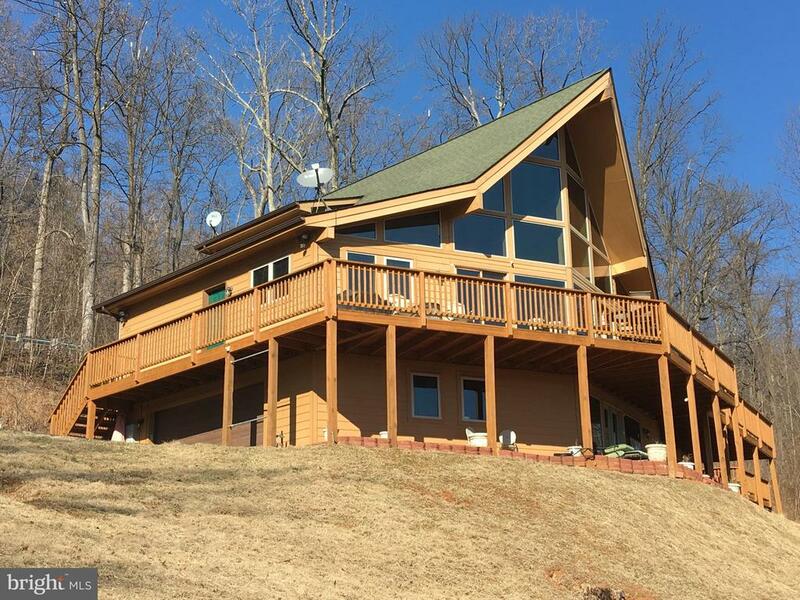 Relax on the screened in porch while enjoying the fabulous mountain views! Large deck! On paved state maintained road! Year around views! Walk out basement; southern sun exposure! We will build your home of choice on this lot!" 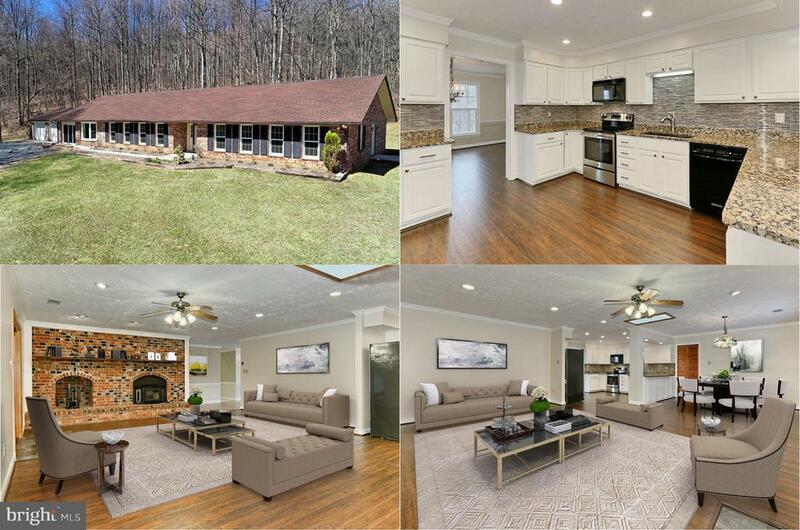 "Sweeping mountain views from this amazing all brick custom home on private and secluded 10+ acres at the end of a private drive with stream, Appalachian Trail paths & no HOA! Own your own farmette with no restrictions for chickens, horses, etc! Completely remodeled with over 4,344 square feet of living space, beautiful hardwood floors, custom moldings, new lighting and paint, 3 fireplaces, renovated baths, new windows, doors & roof! Formal living room and dining room, gourmet kitchen with pristine cabinetry, granite countertops, sparkling mosaic tile backsplash and brand new stainless steel appliances opens to family room with fireplace set into a brick accent wall with built-in wood nook. Great sunroom with cathedral ceiling leads to patio and grassy yard encircled by the tranquil wooded acreage beyond. Master bedroom suite has cozy fireplace, luxury bath with granite topped vanities, jetted tub and glass door shower and opens to private patio! Private In-Law Suite, fantastic one level living and multi-family potential! Surrounded by wineries and breweries and just minutes to I66 and Route 17 with plenty of shopping, dining and entertainment. Outdoor enthusiasts will love the nature centered activities available from hiking and exploring vast parklands, fishing and boating on the Shenandoah River or enjoying the beauty of Skyline drive! This is the perfect home in the perfect location!" "Brand New Chalet on 2 acres. NO HOA! State roads and all the upgrades from the start! Hardwood floors, floor to ceiling windows, tile shower in master. Granite and SS Appliances! LP siding is virtually maintenance free!" "Lots of room to roam in this floor plan. 3 master bedrooms, Formal yet relaxed living spaces inc. sep. dining, living & family room with pass-through fireplace. Special touches are everywhere inc granite. Finished attic for home office & playroom or a fifth bedroom. Full walkout basement used as a movie theater with a downstairs bedroom. 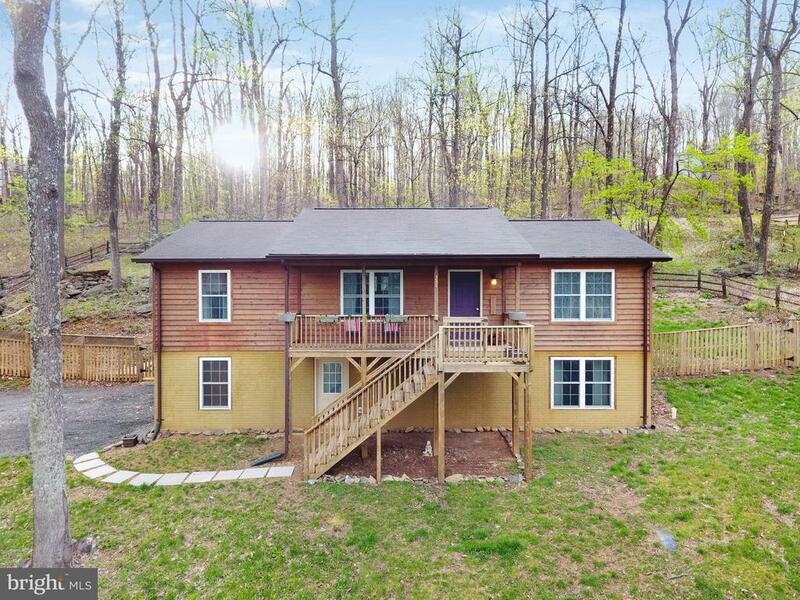 Private woodlands with a patio that used to have had a hot tub and firepits for those who love the outdoors, only minutes off I66. Access to 6 acre stocked lake." 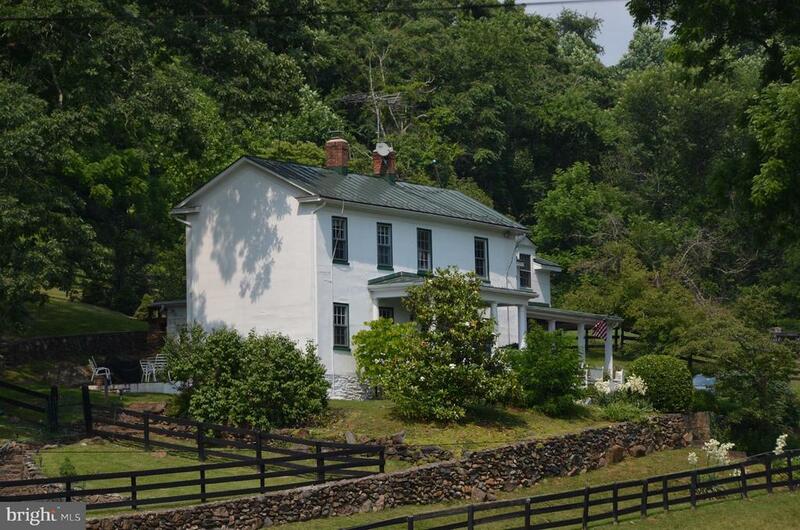 "Incredible Colonial home conveniently located in Linden VA on 2.15 acre lot. 4 Bedrooms, 2 1/2 bath. Bright kitchen with Stainless Steel Appliances & Breakfast Bar. Master bedroom with whirlpool tub. Beautiful formal living room with Bay window area. Formal Dining. Fenced rear yard area. Partially finished basement with large recreation room with lots of room to expand. Great Commuter Location!" 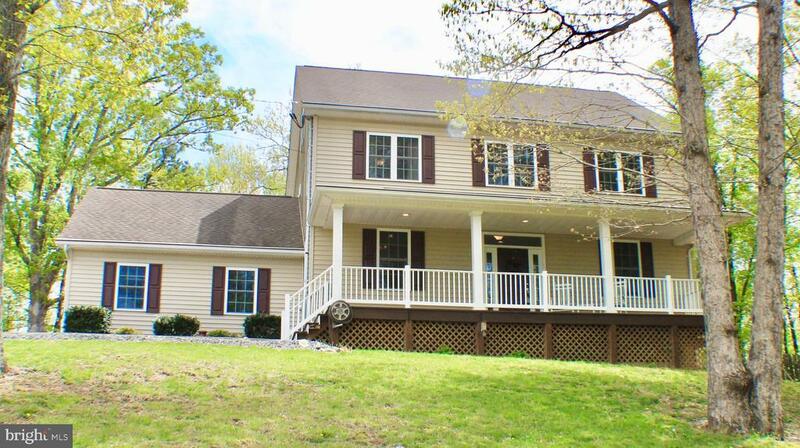 "This beautifully maintained home is just minutes from I66. No mountain roads. 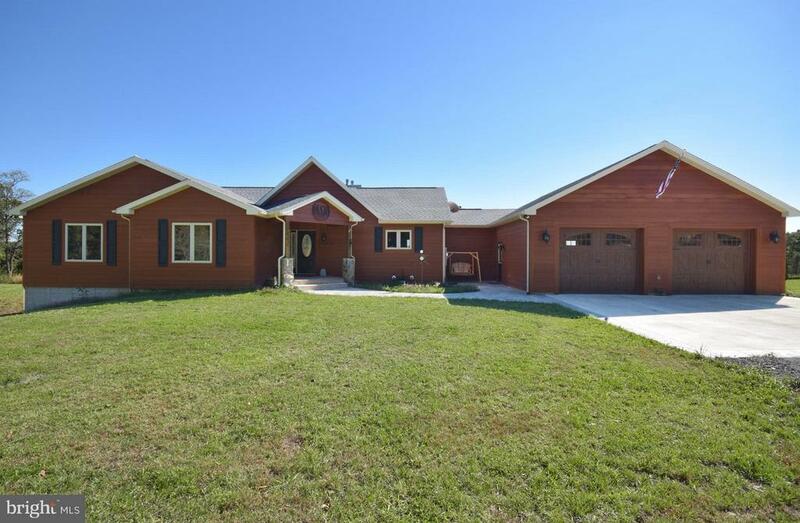 Large open floor plan with main floor master bedroom/bath with a large walk in closet. Main floor laundry with washer and dryer; additional washer and dryer located in 2nd laundry area in the basement along with a separate workshop. 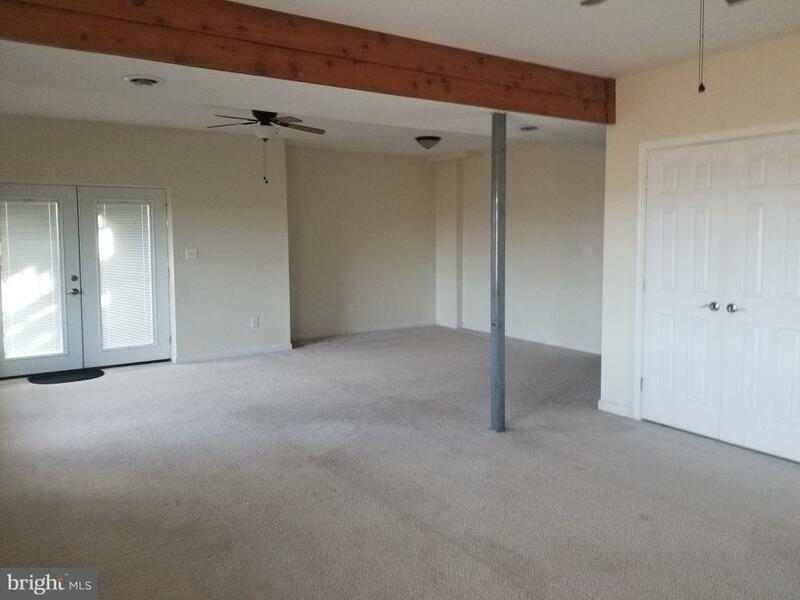 Upper level boasts a large multipurpose room perfect for home business, crafters, or family room along with 2 bedrooms and full bath. Additional den/office space located in the finished portion of the basement. Home is much larger than appears from the outside. 5 bedroom conventional septic, dual zoned heat pumps, 400 AMP Electric, Bamboo Flooring on the main level. 36 in doorways and extra wide main level hallways. New front porch that wraps around to side entrance into the mud/laundry room. Fresh paint throughout. **Available for Rent"
"This property is now under auction terms. All offers should be submitted through Auction .com. This property is subject to a 5% buyer's premium pursuant to Auction Terms & Conditions ( minimums may apply). All auction assets will be sold subject to seller approval. Registration is now available. Auction dates 04/21/2019 to 04/23/2019. A very special house with so much to offer. 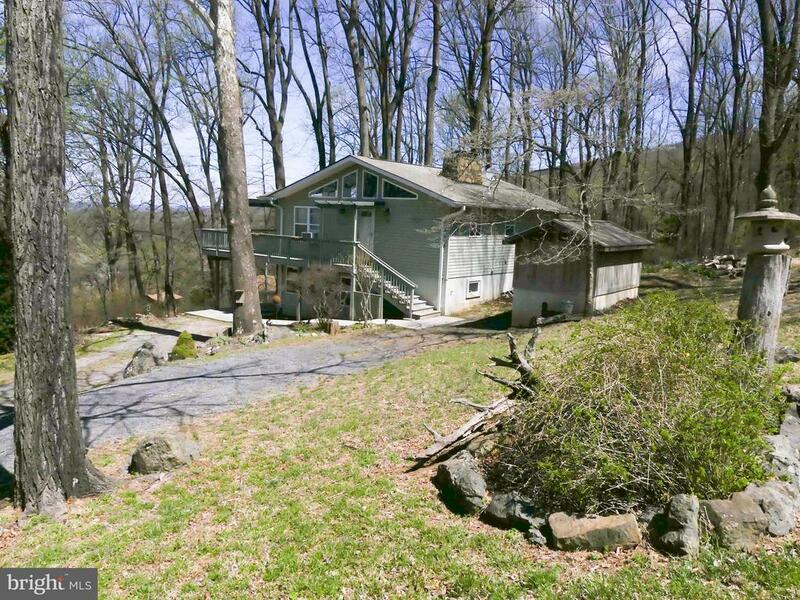 It is located in in a private residential neighborhood with beautiful mountain views on 2.2 acres and is convenient to the Northern Virginia Employment Market. Home features approximately 5320 sq. ft. and priced thousands below assessed value . Don't let this opportunity pass you buy." "Amazing Ranch with chalet front for the best views of the Valley. This 3 bedroom, 2 full bath home has an open floor plan, stainless steel appliances and basement 2-car garage. The oversized deck is great for entertaining. Conveniently located off the Linden exit in Front Royal makes it a great location!" "Incredible commuter location! 1+ acre with wildlife and access to 2 lakes. Formerly called Twin Lakes, Apple Mountain Lake, is a commuter's dream location. Our home features spacious rooms & an over sized bedroom level laundry. Hardwood flooring and granite counter tops too. The main lever family room with gas fireplace overlooks the woodland and mountain views. Formal living and dining areas give private entertainment spaces. Unfinished lower level lends it's self to your HGTV adventures into my forever home. You'll want to see this one!" "Breathtaking VIEWS!! This home features endless possibilities! Your own private retreat at the end of the road, close to I-66.Covered porch, Lg studio, home office, suite/bedroom or private gym above your detached garage. Fully finished lower level offering additional room (No window) & full bath. Possible 1 acre building lot for a total of 2.05 acres. HOA fee is $ 52 Monthly Per Parcel for a total of $104 Monthly"
"Completely remodeled home includes almost two acres of level privacy. 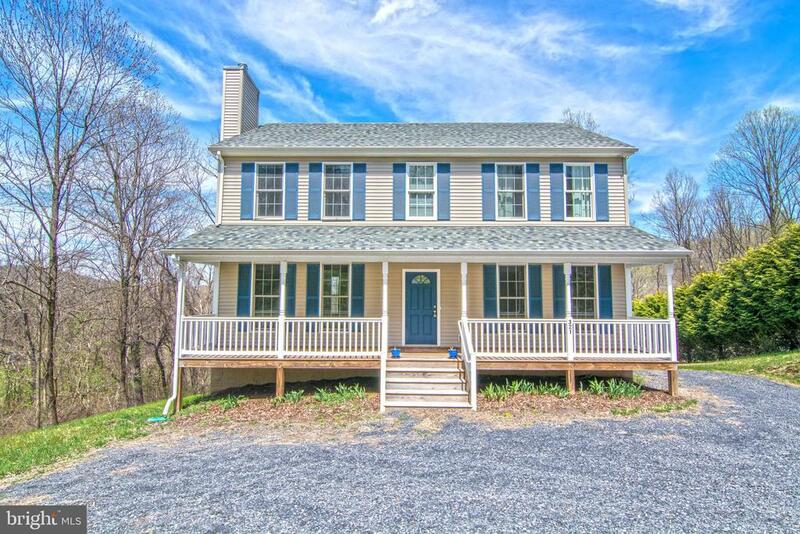 Ultra location for I66 commuters or weekend getaway. Nestled 1/2 mile from Appalachian Trail. Enjoy hiking, wineries and kayaking opportunities. Only a few miles to community lake. Open floor plan great for entertaining. Large kitchen with lots of light, granite counter tops, SS appliances. Split bedroom plan with updated bathroom features and walk-in closet. Cherry hardwoods throughout upper level. Bonus Room finished in Walkout basement with window and closet space. Lots of room for storage or to finish the way you want and rough in for additional bathroom. Home Inspection just completed, move right in! Check out Video Tour!" 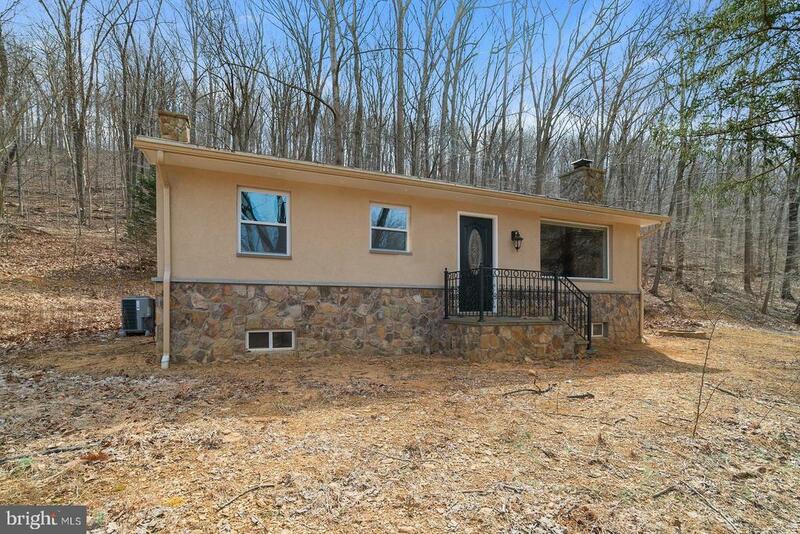 "*MUST SEE MOUNTAIN BLISS* Renovated & Updated 4BR/3FB/2 Level home lived in and cared forby owners. Some highlights: Master BR w/full bath, lower level bedroom/office/playroom, new roof,wood floors, garage, deck, great sunlight, views, parking for multiple vehicles. Peace, nature & freedom from the busy cities but close enough to all the activity you seek. This is a solid home you can live in comfortably all year round. Under 300K! Close transaction by end June! PLEASE TEXT/CALL Agent for showing." "This is a nursing home situation which means Social Services has to approve any offer. Offers must be full price. This home was originally listed as 13389 John Marshall Hwy assessment went up so the price went up.. Alot of work is needed to bring these homes back, but the land lays pretty. For easier access use the 13389 John Marshall driveway. Officially though access is from the Atkins Hollow side." 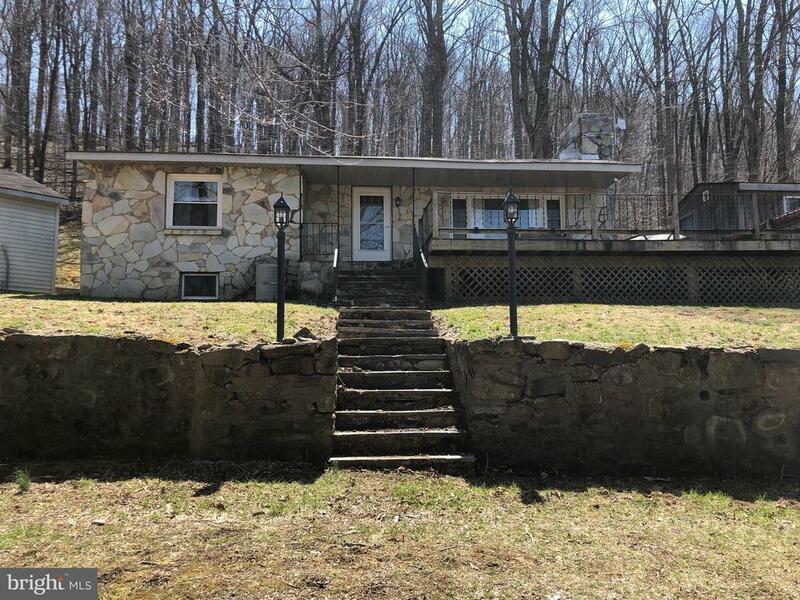 "Charming 2 bedroom, 2 bath stone rambler situated on a little over 5 acres . Home has been lovingly maintained and you can modernize to meet your needs. Home offers hardwood floors, wood burning fireplace on the main level with a wood stove in the basement. Newer vinyl clad windows. Homeowner only fills the oil tank about every two years because they burn wood in the winter time. 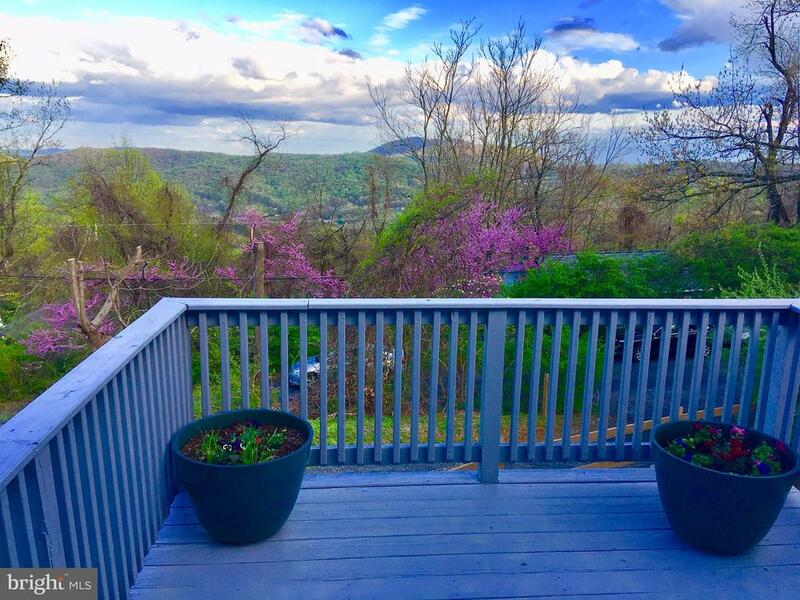 Mountain views and just minutes to I-66. Detached over sized 27'x35' garage along with a storage shed. Underground utilities coming soon. Hidden Valley Broadband services are available." "NOT YOUR AVERAGE RAMBLER! 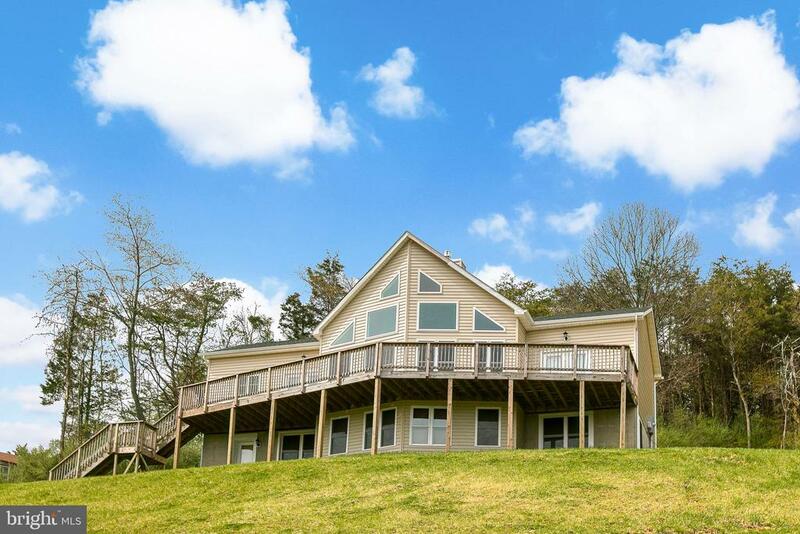 This lovely home with pretty views is loaded with upgrades! Features: Stone and Stucco exterior, stone fireplace and chimney, and stone entrance gate; gourmet kitchen with custome cabinets, granite counters, and SS appliances; tile on floors through out; finished walk-up basement; luxury bath with high end finishes; metal roof, updated HVAC, electrical and plumbing; and much more!" "Wonderful views from your wrap around deck. An entry level bedroom perfect for studio or home office. Hardwood floors throughout home with a bath on every level. 2 Cozy fireplaces. Many custom features including a finished basement Pella doors & plumbed-in dehumidifier. 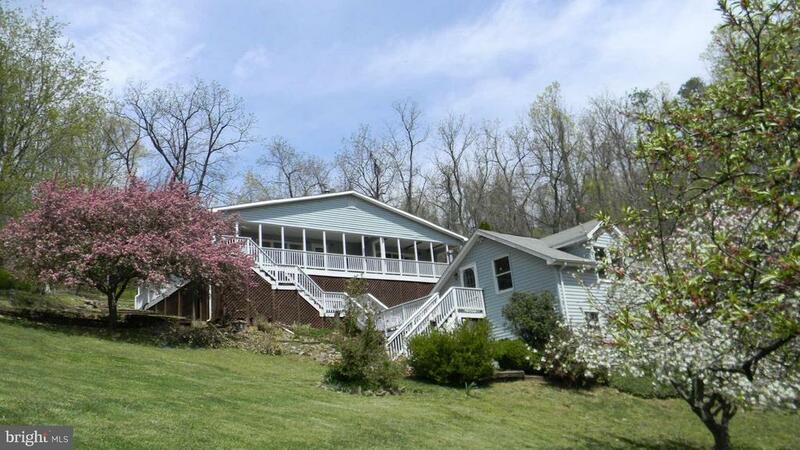 This is a GEM in the Mountains near golf, vineyards & state parks." "Beautiful home! Well maintained & move in ready! Approximately 23K worth of recent improvements! Bright, cheerful, and upgraded! 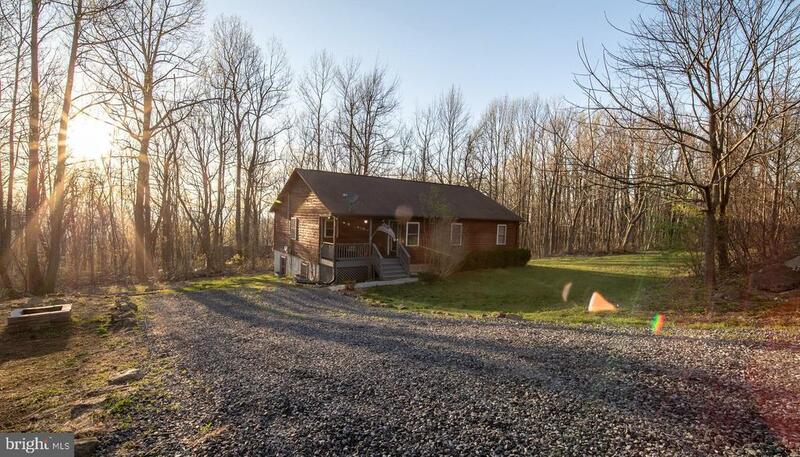 Put a little color in your life as you step into this stylish raised rambler nestled in the Shenandoah Valley. The open living/dining/kitchen floor plan keeps the family cozy on the main level. Kitchen features stainless steal appliances (less than 1 year old), plentiful cabinet space, pantry, updated fixtures, and vaulted ceilings. Easy entrance to outside deck dining (two tier 16x10 & 11x10) makes this setup ideal for entertaining! Living room has a gas fireplace perfect to snuggle up to in the winter with a good book and a cup of hot chocolate.Your own private oasis calls to your from the master bathroom. The large soaking tub with tasteful color scheme is the perfect place for some good rest and relaxation after a long day. Listen to the sounds of nature out the pretty bathroom window as rays of sunlight bounce all around you.Looking for a man den well you have found it in the lower level of this home. Perfect space for watching sports, playing cards, or making music! Complete with a full bathroom, office or guest room, and access to the one car garage. Walkout level with outside entrance. Laundry machines are also located on the lower level.Exterior features include: Two tier deck, custom built benches, covered front porch (19x4), stone retaining wall, landscaping, upper level fire pit space, one car garage (with workshop space 13x12), multiple parking spaces, and shed. Agent favorite feature: Laundry chute from upper level straight to the lower level laundry room! Recent improvements: New flooring throughout, Fresh paint throughout, Retaining wall and landscaping, Shed, Pressure washing and staining of home 2019, New appliances 2018, Duct cleaning, New energy efficient hot water heater Sept 2018, New light fixtures and ceiling fans on upper level 2019 Special note: Please reference the Shenandoah Fa"
"Valley Views with easy, no mountain, entry. Highly updated and rebuilt property currently being used as an online vacation rental as 2 separate units. The entire building has been substantially rebuilt and upgraded since bought by the current owner (General Contractor). Being offered with additional perked build-able lot. Total land with both lots is over 1.5 acres (.75 each). The building consists of 2 separate one bedroom units. No interior stairs adjoins the two levels. Truly two units. Peaceful, Oregon Hollow, side of the mountain. Very private but has quick access to I-66. Short term online rentals requires county license. Seller recommends that any interested buyer research all government requirements associated with what you plan on doing with the property. There are many factors involved in the short term online vacation rental business."